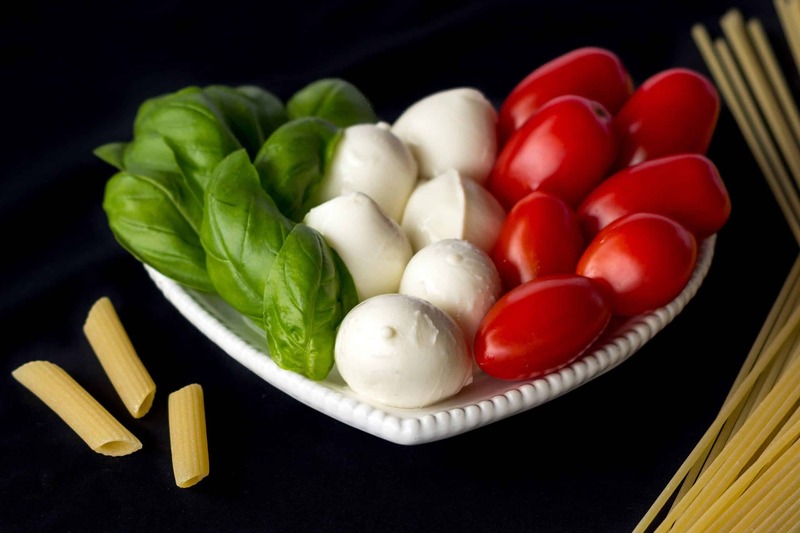 Caprese salad and pasta are two of my favorite foods. 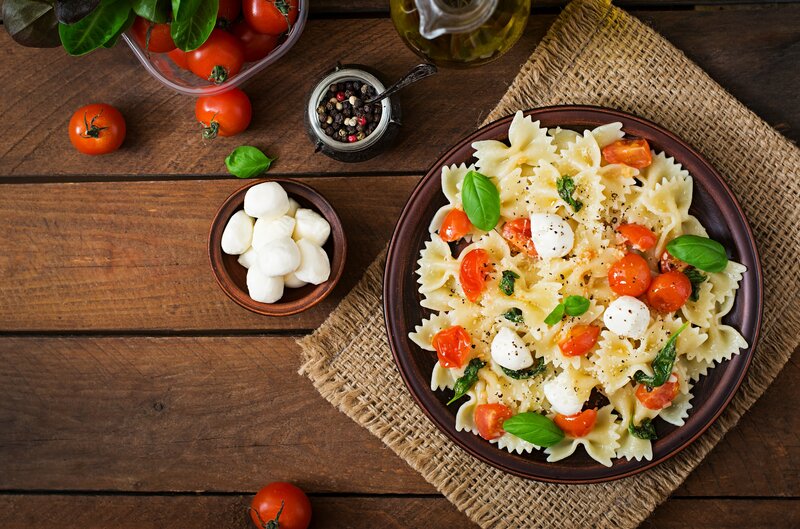 This Caprese Pasta Salad recipe combines the fresh tomatoes, basil, and mozzarella with the carb goodness of pasta and topped with a gorgeous balsamic glaze for flavor! This is an easy salad to throw together for a quick meal or to bring to a summer barbecue. You can use any type of pasta for this salad, it's really just a matter of preference. Some good pasta options are bowties, penne, orzo, fusilli, and macaroni but it's really up to you! I use a store-bought Balsamic glaze to save time. If you'd like to make your own, there are many different recipes available on Pinterest. 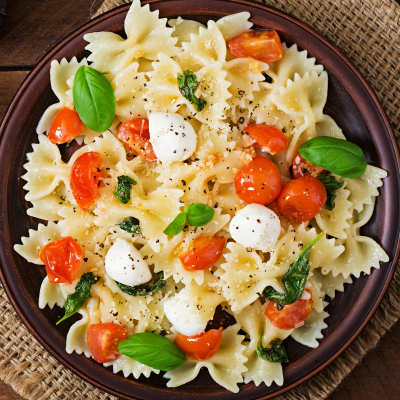 Helpful Hints: If you want to lessen the Points per serving, you can use less pasta or less fresh mozzarella. Those are the two most “expensive” ingredients in this salad. You can tinker with the amounts to find out what works best for you from a Points (and flavor) perspective. 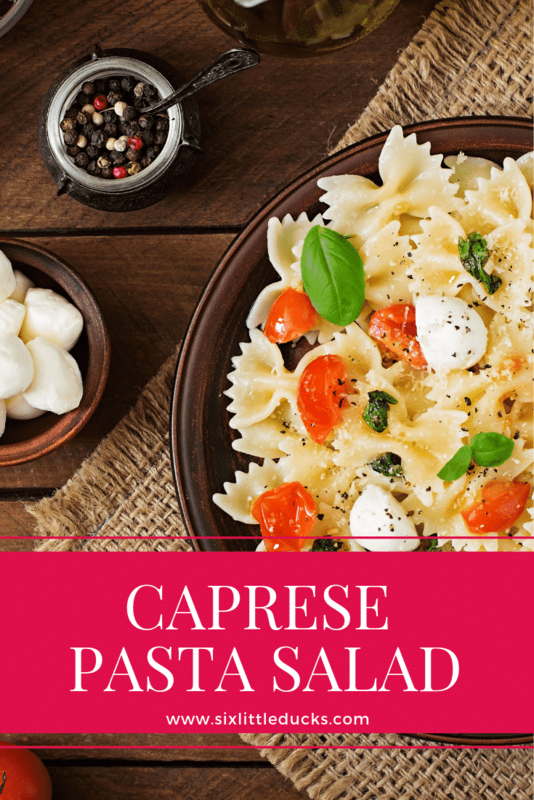 A delightful pasta salad that will remind you of summer! Cook pasta of your choice per package directions. Drain and allow to cool slightly. Add olive oil and salt to pasta and mix thoroughly. Cut mozzarella pearls in half or quarters (per your preference). Cut grape tomatoes in half. Chop basil into thin strips. Add to pasta and stir until thoroughly combined. Portion out six individual servings and drizzle 1 tbsp of balsamic glaze over each. Serve immediately. *Points information as calculated through the WW recipe builder. Your results may vary. Looking for more recipe ideas? Check out the Recipe Collections which include a wide variety of recipes free for you to download. You can find all of the Recipe Collections here. WANT TO REMEMBER THIS RECIPE? POST IT TO YOUR FAVORITE PINTEREST BOARD!